DeepDream transports you to a world without perceptual boundaries. 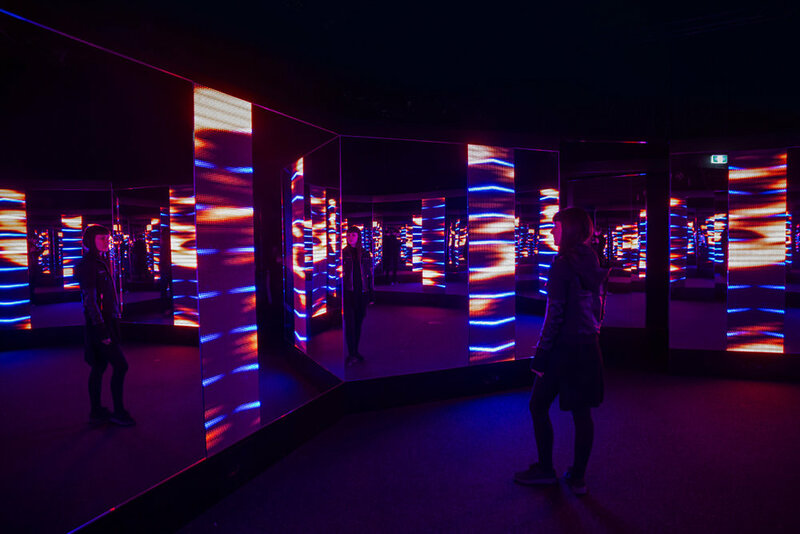 An infinite multiverse of light and sound. 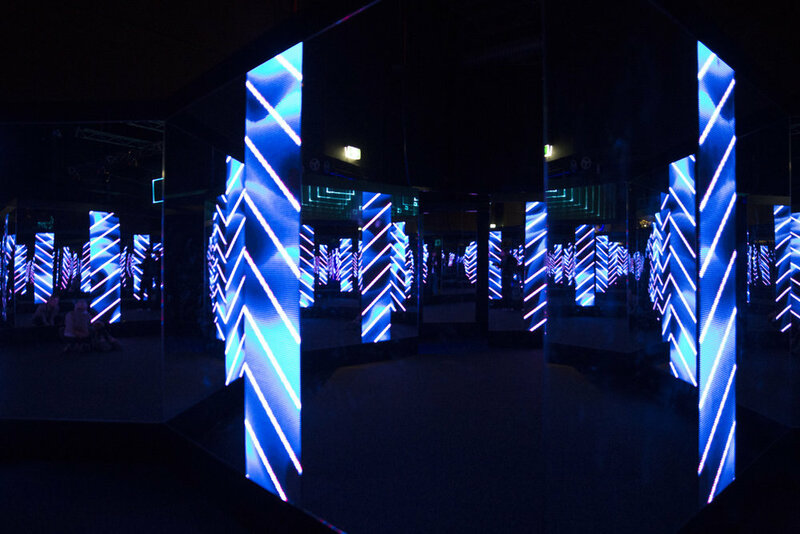 The vessel being an octagon of mirrors and LED screens producing light sequences that pulse in 360 degrees. 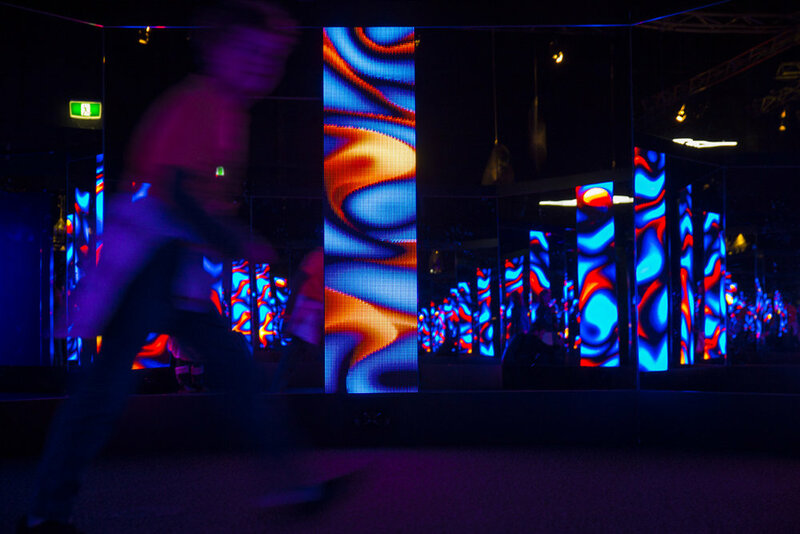 Animations specifically work in coherence with the reflective properties of the room. A quadraphonic soundscape sonically enhances and juxtapose what you see. The audiovisual composition ebbs and flows through a wide gamut of environmental states, from calm and meditative to more powerful and hypnotic crescendos. 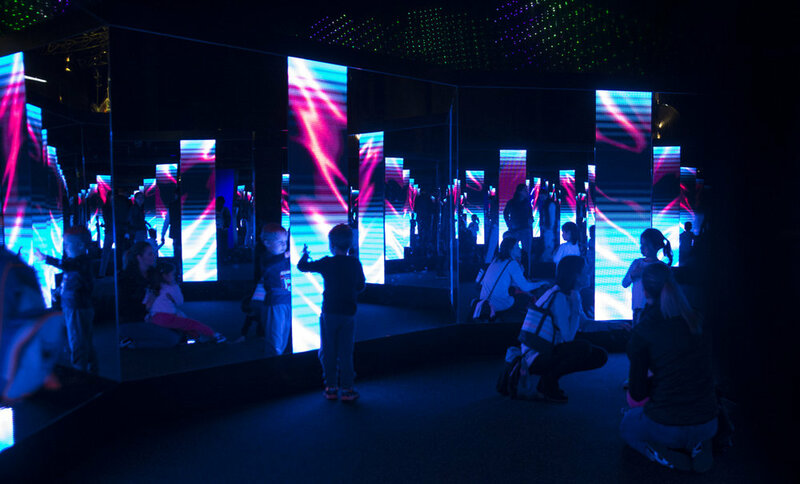 This immersive experience encourages self reflection in an alternate Neo-Futuristic theme. 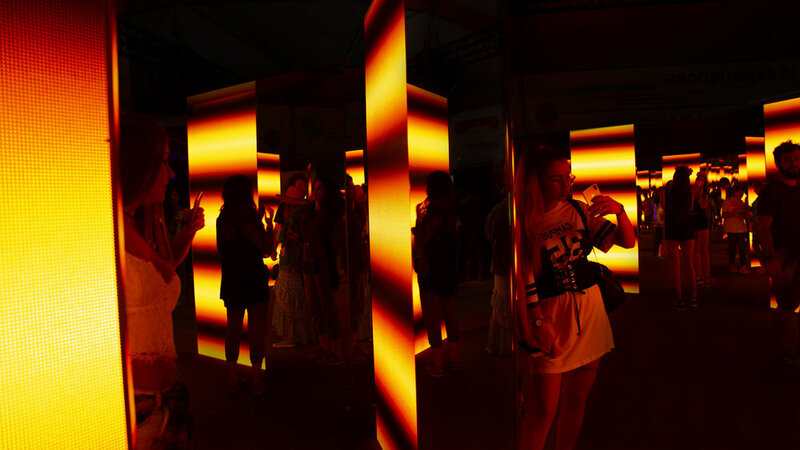 It is an experimental dream-state and study into the distinction of light / data and the sensory effects of enveloping iterative audiovisual stimulus. DeepDream V2 - Commission: Untold, Summerwell and Neversea festivals.